Anthony Bourdain: What nicer thing can you do for someone than cook them breakfast? Do the dishes and play Sam Cooke records, too, I suppose. But really, the simple yet royal pleasure of waking up to an already made plate of B and Es is singular. Even the most basic continental breakfast — English muffins with butter and jam and black tea — is a small good thing. But on the spectrum of complimentary hotel breakfasts, not all are created equal. At one end, there’s a basket of Entenmann’s pastries beside an empty coffee urn, and at the other, bouquets of locally smoked salmon roses and fresh gooseberries pair with flutes of housemade sorbet mimosa. And while both ends have their place, we’re using this occasion to point to the richer end of the spectrum. Here, a few hotels that take the most important meal of the day to heart. 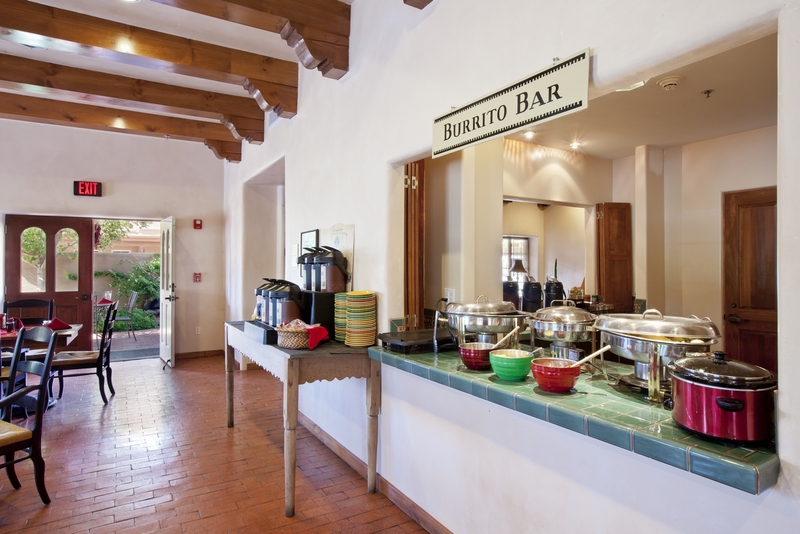 Old Santa Fe Inn puts on a bomb breakfast burrito bar. Local red and green chile salsas spice up the usual breakfast burrito fixings, and sides of fresh fruit and yogurt add a coolness into the mix. 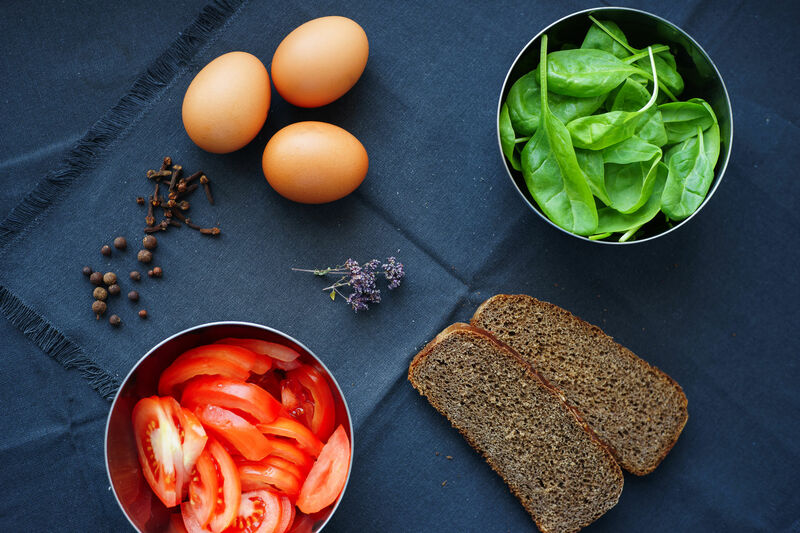 Sip Starbucks coffee and Odwalla juices and munch on fresh-baked breads from the locally loved Sage Bakehouse. With views of the surrounding wetlands and well-manicured grounds, Cedarbrook Lodge serves a Northwest-inspired feast in their spacious and posh Tamarack Hall. Menu highlights include Lummi Island smoked pink salmon, Armandino Batali’s Salumi charcuterie, and Mad Hatcher hen eggs and applewood smoked bacon — all local, all highly artisan. 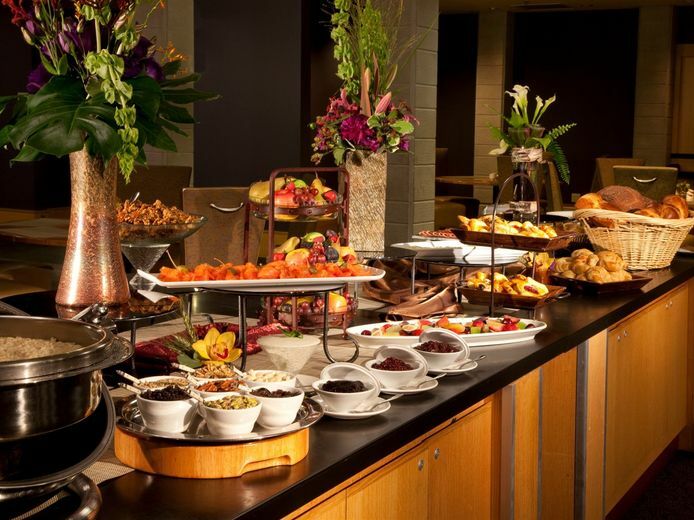 Exemplifying Southern hospitality, Stonehurst Place is in a different class when it comes to the breakfast table. Brûléed grapefruit, baked Chardonnay cream eggs, seafood casserole, strata, and a list of pancakes and waffles, cakes and pies that dings the calorie count just for looking — these round up just a few of the rotating menu items that the fine cooks at Stonehurst put out. It would be really great if more hotels offered complimentary breakfast. Some of the rates charged by the hotels, really don’t want to to spend any additional money in these hotels.